The Bible makes it very clear that we are not to hang on to our anger (Ephesians 4:26), and that we are to forgive (Matthew 6:14-15). 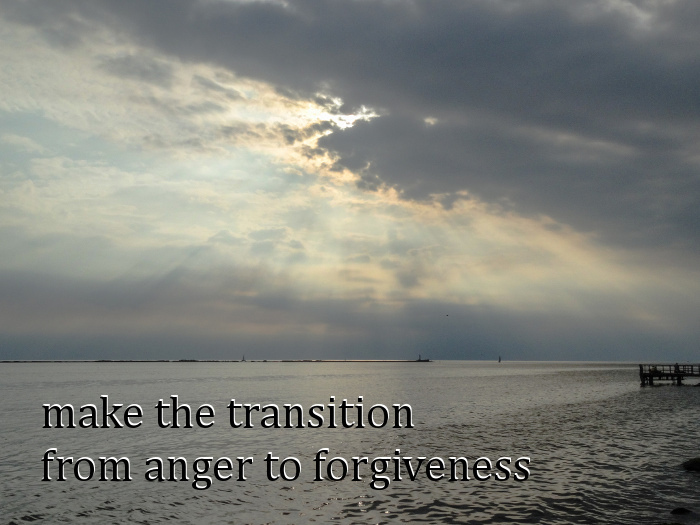 How do we make the transition from anger to forgiveness? Here are the steps. Sometimes we can do this on your own. Sometimes we need help from a godly friend. 1. Focus on the anger. It won’t go away simply because you deny it or will it away. If you do, it will just get buried and come out some other way—ulcers, a fit of uncontrollable rage, consuming bitterness. 2. Figure out why you are angry. Take your time with this. Sometimes the reason will surprise you. Sometimes there are many reasons. 3. 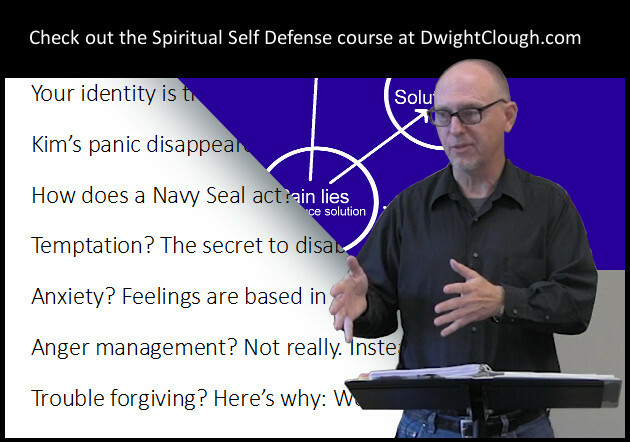 Discover why you need to hang on to your anger. Anger always serves a purpose. If you no longer had the anger, where would that leave you? Again, take your time with this. The answer will probably surprise you. 4. Bring the answer(s) from step 3 to Jesus. Own your feelings and beliefs. Hold them up to the Lord and see what He does with them. On this step, most of us need help. 5. When you’re ready, release the anger to Jesus. Let Him carry it for you. This is where forgiveness takes place. Keep in mind that forgiveness is not the same as reconciliation. Forgiveness is about canceling a debt. It is about not needing to exact “payment” for the offense that took place. Reconciliation is about re-establishing a relationship based on (re)earned trust. Forgiveness is not about minimizing the offense. The offense was all that it was. It isn’t about trying to explain it away. It’s about honestly facing what was done wrong, and finding from God the grace to cancel the debt.